An integrated VR Viewer for Cinema 4D. Works on windows using an HTC Vive. Exports all geometry and textures directly to a custom OpenGL viewer with a single click. Available as part of the existing Bundles for R17 to R20, as well as individually for R20 users. Individual plugin licences are now available for R20. Scale the Figure to be your height then place it somewhere in your scene for your starting position. 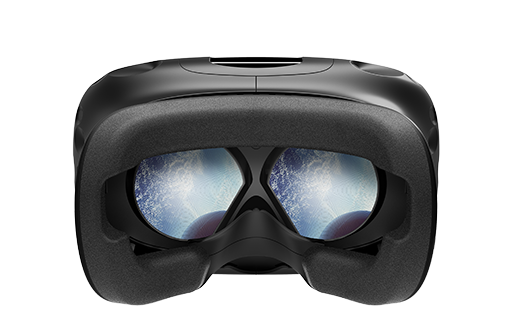 Now select VR Viewer from the 4D Publish menu. A dialog will appear to start the viewer. Press "Start" to launch the viewer. It will automatically launch the Steam VR system and connect to your HTC Vive. Put on your HTC Vive and explore your world. Exports all Polygonal and Procedural Objects. Supports MoGraph and Cloned objects. Samples all the textures on the materials. Place yourself in the scene using a Figure object to set your location and height. Supports animation of objects and lights. If you press play in C4D then all the objects will be moving in VR. Supports Vertex Maps named "BakeAO" for Ambient Occlusion. Use first controller to pick up and examine objects. Use second controller to teleport around your scene. Requires Standard or Pro Edition. Currently not available for R20. The VR viewer also supports baked ambient occlusion vertex maps. If your object has a vertex map called "BakeAO" then it will use this for shading in the VR Viewer. 4D Publish comes with a GPU Accelerated baking system for CUDA on Nvidia Graphics cards (Windows Only). You can quickly create Ambient Occlusion vertex maps for all your polygonal objects in your scene by selecting "Bake AO" from the 4D Publish Menu. Ensure all your objects you want to create a vertex map for are editable polygonal meshes. When finished all the Vertex Maps will be selected in your scene to show the results of the baking, like shown in the image on the left. When you next run the VR Viewer all these baked vertex maps will be used to provide Ambient Occlusion in the VR Viewer.